An interesting story on news.com today. I'll do the blunt copy/paste here as it's really interesting to see this article in it's entire original form. Advanced Micro Devices' ATI graphics chip unit doesn't want to build "huge" chips like rival Nvidia, an executive says. But an Nvidia exec says smaller isn't always better or more efficient. Such statements will help define how the two chip giants do battle at the high end of the graphics chip market in the coming years. 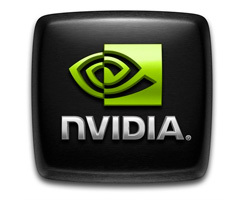 Nvidia tends to favor very-fast, single-chip solutions. Nvidia, of course, has a different take on why it chooses to develop big, fast chips. While we wait, and wait... and wait for manufactures to perfect long-lasting fuel cells, Apple and others are pursuing at least one other approach: solar augmentation. In a patent application dated April 24, 2008 and titled "Solar cells on portable devices" attributed to a number of Apple employees, Apple reveals possible plans to integrate solar cells into devices such as iPods and MacBooks. The application describes a scenario where, "Solar cells are typically stacked with other layers made of transparent or semi-transparent materials... Some of these layers may be used for display or input purposes, and some layers may be coated with various materials or they may be etched with product logos or other patterns." In other words, Apple is looking to cover the entire device, including the transparent display, with a layer of solar cells -- the latter approach already patented by Motorola. While the efficiency of solar cells and existing manufacturing techniques call into question the immediate viability of such an approach, it's intriguing nonetheless as a means to offset any lost battery life on the move to say, 3G. Today the turn goes to BFG's for a product review, specifically their new ES line of power supplies, and guys .. this might be the black sheep of PSU's, as looking at it from a bit of distance .. it's a regular, non out of the ordinary PSU. Black, nothing modular, looks are okay though. That literally was my first impression. Then I hooked it up, 'is it switched on yet ?' .. 'yeah it is' .. I just didn't hear a thing. Pure silence. Nice sleeved and long cables was my second impression. Wow .. then I stumble into the PCIe connectors for your graphics card(s) .. four of them where two of these have additional 2-pin header making them 8-pin compatible. This editor slowly starts to smile now, then he looks at the AMPs distribution for the voltage rails 3 & 4 for 12 Volts dedicated to graphics ... woah .. 36 Amps a piece, that's massive. Two major modifications were made to display images on both sides. First, a new reflective layer is arranged in the color filter substrate. When the images are viewed from the TFT array substrate side, the layer reflects incoming light. On the other hand, when viewed from the side of the color filter as in the case of the existing LCD panels, the light is reflected by the reflection electrode formed on the TFT array. Another major improvement relates to the structure of the TFT array. The company formed two transistors in one pixel in order to display different images on both sides of the panel. LG Display reportedly prototyped 2.2- and 15-inch LCD panels with the new structure. Both panels feature a reflectivity of 20%. The 2.2-inch prototype has a resolution of 160 x 120 and an aperture ratio of 43%, according to the company. The RGB three colors are arranged in a stripe pattern. The 15-inch prototype reportedly has a resolution of 2048 x 1536 and an aperture ratio of 46%. It employs a sub-pixel arrangement with four colors, consisting of R, G and B and the additional white (W). Eidos Steam Pack - 20 Games for $99! This is not a bad deal ! Steam offers now 20 Eidos games that are available on Steam individually for $390 as a one package with a $99 pricetag. The included games are: Battlestations: Midway, Commandos: Behind Enemy Lines, Commandos: Beyond the Call of Duty, Commandos 2: Men of Courage, Commandos 3: Destination Berlin, Commandos: Strike Force, Conflict: Denied Ops, Deus Ex: Game of the Year Edition, Deus Ex: Invisible War, Hitman: Codename 47, Hitman 2: Silent Assassin, Hitman: Blood Money, Infernal, Just Cause, Kane and Lynch: Dead Men, Project: Snowblind, Rogue Trooper, Thief: Deadly Shadows, Tomb Raider: Anniversary, Tomb Raider: Legend. That is a great deal overall. Just hope that you don't have these games already. A new trailer popped up, check out the Chevy Camaro as it takes the corners through the beautiful city of San Francisco. I guess it's save to say that once you lure in staff members from the Inquirer I guess that infects the entire staff, Tom's hardware slowly seems to have joined the bandwagon of trash journalism by releasing photo's and information regarding ATI's upcoming Radeon 4000 series. The photo's and information are on the loose everywhere, I guess there's no point then to keep the info covered for us either then. These are the Radeon HD 4850 and 4870. Apparently these two series 4000 series cards will be powered by the RV770 chip which is built using the 55nm process and offers 480 Stream Processors. Both cards will feature a 256-bit memory interface PCI-Express 2.0 support, CrossFireX, Unified Video Decoder (UVD) 2 and DirectX 10.1. The Radeon HD 4850 will be equipped with 512MB of GDDR3 memory and is reported to cost you merely $229 to $249 (not bad). Above you can see the Radeon HD 4870 the new product reaching the high-end segment, this card will utilize one RV770 chip paired up with a pretty fun number of framebuffer, 1024 MB of GDDR5 memory. The HD 4870's price tag is proclaimed to be around the $329 to $349 margin. Both Radeon HD 4800 cards are said to be ready for a mid-June release. I guess the closer we get to Computex, the more info we'll find on these cards. Paradox Interactive unveiled a new trailer of Trainz: The Complete Collection. This compilation includes Trainz Railroad Simulator 2004 & 2006, Trainz Routes 1, 2, 3 and 4, Trainz Ultimate Collection, and Trainz Paintshed. This train simulator game will be available for the PC on June 10. All trekkies gather please. A NASA spacecraft today sent pictures showing itself in good condition after making the first successful landing in a polar region of Mars. I swear .. just buy a PC man. The Adlink ECS-8582-4S extension system enables a laptop computer with an ExpressCard slot to remotely manage and control PCI devices installed in an extension chassis. ExpressCard technology leverages the features of PCI Express bus but in a small form factor for laptop computer usage. With ECS-8582-4S, laptop users can easily plug an ExpressCard host adapter into the laptop, and then cable it to an extension chassis up to 7 meters away. The extension chassis is capable of accommodating four half-size PCI cards with built-in power supply. The Adlink ECS-8582-4S extension system operates in 32-bit/33 MHz configuration with 132 MB/s full PCI bandwidth and comes with comprehensive hardware and software transparency. PCI cards installed in the extension system behave and work as if these are directly installed into the host system, requiring no additional drivers or software installation. If you are a serious guitar-master wannabe and you want to focus on the tune of Brian May's guitar and don't want to hear Freddie Mercury's voice and Roger Tailor drumming in Queen songs, then this may be what you have been looking for. Korean computer engineers are introducing a new digital music format that has separate controls on the sound volume for each musical instrument, such as guitar, drum, base and voice -- an ideal tool for music lovers of different tastes as well as karaoke fans. The MT9 technology was first conceived by Electronics and Telecommunications Research Institute (ETRI) and is being shaped into commercial use by venture company Audizen. It was selected as a candidate item for the new digital music standard at a regular meeting of Motion Picture Experts Group (MPEG), the international body of the digital music and video industry, held in France late April. ``We made presentations to the participants and they were all surprised to see it. They immediately voted to make it a candidate for the digital music standard,'' said Ham Seung-chul, chief of Audizen. He is expecting it will be formerly selected as an international standard in the MPEG forum's next meeting to be held in Germany June. Ham says that the music industry should change its attitude to the market as music is becoming a digital service, rather than a physical product. MT9 is the ideal fit for the next generation of music business because it can be used for multiple services and products, such as iPhones, PCs, mobile phones and karaoke bars, he says. Samsung Electronics and LG Electronics are both interested in equipping their mobile phones with an MT9 player and their first commercial products are likely to debut early next year, he said. If selected as an international format, the MT9 technology can earn big for both Audizen and ETRI, a governmental research institute. ETRI said that it holds three international and six domestic patents for the technology and is planning to file two more this year. The MT9 files are served in an album package. Audizen is currently selling a limited choice of albums at 2,000 won to 3,000 won on its Web site. More albums are being recorded in the format and even very old albums, such as Queen's or Deulgookhwa's, can be made into MT9 files if they have a digitally re-mastered music source, Ham said. For decades, scientists have dreamed of computer chips that manipulate light rather than electricity. Unlike electrons, photons can cross paths without interfering with each other, so optical chips could compute in three dimensions rather than two, crunching data in seconds that now takes weeks to process. For now, though, optical computing remains a dream. The chips require crystals that channel photons as nimbly as silicon channels electrons -- and though engineers have been able to imagine the ideal photonic crystal, they've been unable to build it. Enter a beetle known as Lamprocyphus augustus . In a study published this week in Physical Review E , researchers at the University of Utah describe how the inch-long Brazilian beetle's iridescent green scales are composed of chitin arranged by evolution in precisely the molecular configuration that has confounded the would-be fabricators of optical computers. By using the scales as a semiconductor mold, researchers hope to finally build the perfect photonic crystal. "We haven't been able to manufacture materials at the nanometer resolution. We knew the ideal structure, but we couldn't make it," said study co-author Michael Bartl, a University of Utah chemist. Bartl's team stumbled across L. augustus by sheer luck. Study co-author Lauren Richey, now a Brigham Young University undergraduate, studied beetle iridescence for a high school science fair project. She asked BYU biologist John Gardner, also a co-author of the study, to examine L. augustus with his lab's electron microscope. When the researchers scoped the scales, they noticed something strange: No matter the angle of viewing, the scales always appeared in the same shade of green. That's unusual for iridescent surfaces, which derive their color from light refracted through semi-transparent layers. Further study revealed that the quality came from the scales' molecular arrangement, which had the same pattern as the atoms of carbon in a diamond. Diamonds themselves are too dense to serve as photonic crystals, but researchers long ago identified their configuration as perfectly suited for manipulating light in a three-dimensional space. "You can take the light, criss-cross it and it doesn't interfere. It allows you to build more complex and compact architectures," said Paul Braun, a University of Illinois at Urbana-Champaign photonic crystal specialist. The crystals' transmission purity would also eliminate waste heat generated by traditional electron-based circuits. That heat is a limiting factor on traditional microchip capacities. Laboratory attempts at mimicking diamonds have been largely unsuccessful. Braun said that researchers at Sandia National Laboratories came close, but each crystal took a painstaking month to build. "They're almost impossible to fabricate," said Zhong Lin Wang, a Georgia Institute of Technology material scientist. Wang developed photonic crystals based on the scales of butterfly wings, but they didn't possess the elusive diamond form. "If this beetle has an arrangement like diamonds, that's truly unique." Bartl said that optical computer chips won't actually run on beetle scales. Instead he plans to use the scales as a mold, replacing chitin with semiconductor material. "This could motivate another round of serious science," said Braun. "If there's an easy way to create the diamond structure, that's going to expedite progress in the field." "Optical computers could do in a second what now takes days or weeks," said Bartl. "And we're providing the materials." GPU acceleration is one of the most significant trends in today hardware industry, opening the doors to an entirely class of software running desktop. What will be possible is fascinating to see on a monitor, nut it is not tangible, if you just hear about it. It appears that the next Photoshop will be one of the first mainstream applications that will tap into the GPU for a speed up. And, at least from what we have seen during a first demonstration, the progress is simply stunning. The end of game piracy? Speaking at yesterday's Wedbush Morgan Securities annual Management Access Conference, the Atari founder suggested that game piracy will soon be a thing of the past thanks to a new chip. "There is a stealth encryption chip called a TPM that is going on the motherboards of most of the computers that are coming out now," he pointed out. "What that says is that in the games business we will be able to encrypt with an absolutely verifiable private key in the encryption world - which is uncrackable by people on the internet and by giving away passwords - which will allow for a huge market to develop in some of the areas where piracy has been a real problem." Bushnell thinks that piracy of movies and music, however, is probably unstoppable because "if you can watch it and you can hear it, you can copy it." "Games are a different thing, because games are so integrated with the code. The TPM will, in fact, absolutely stop piracy of gameplay. "As soon as the installed base of the TPM hardware chip gets large enough, we will start to see revenues coming from Asia and India at a time when before it didn't make sense." Thanks to Daftshadow for pointing this out.